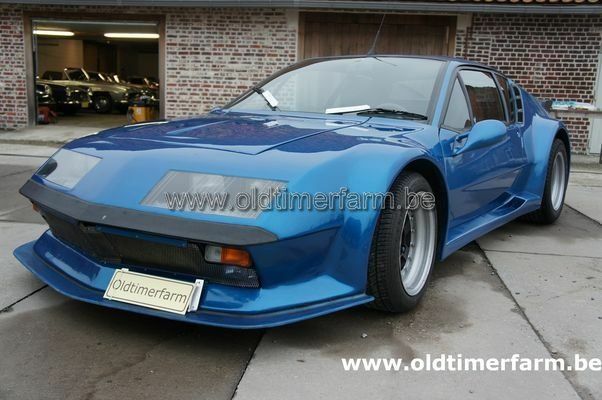 (from Wikipedia, the free Encyclopedia) The Alpine A310 was a sports car built by French manufacturer Alpine, from 1971 to 1984. Dieppe-based Alpine, once an independent company specialising in faster Renaults, later a Renault subsidiary, established a fine competition history with the Alpine A110 winning the 1973 Monte Carlo Rally and World Rally Championship. 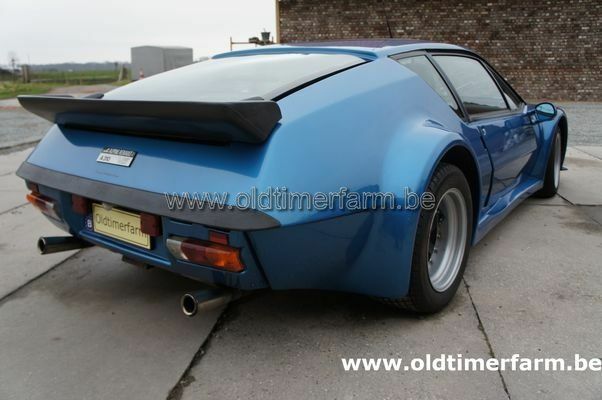 The successor was the Alpine A310, initially powered by tuned 17TS/Gordini four-cylinder engine, still rear mounted. The maximum power reaching 127 PS DIN (93.5 kW/125 hp), thanks to the use of 2 twin barrel 45 DCOE Weber carburetors. In 1976 the A310 was restyled by Robert Opron and fitted with the more powerful and newly-developed 90 degree 2700 cc V6 PRV engine. As used in up-range Renaults, Volvos and Peugeots this lifted the car into the lower echelons of the sports car league, where the Porsche was a dominant player. The basis of the A310 was a hefty tubular steel backbone chassis, clothed in a tough fiberglass shell. Like the ill-fated De Lorean DMC-12, which used the same PRV powertrain, the engine was mounted longitudinally in the rear, driving forward to the wheels through a manual 5 speed gearbox. With 149 bhp (111 kW) on tap, the A310 PRV V6 was Renault's performance flagship capable of 220 km/h (137 mph) and neck straining acceleration. Despite the tail-heavy weight distribution (like Porsche 911), handling was safe and rewarding. In the later Models of the A310 a "GTPack" which was inspired from the Group4 A310 racing cars would be developed, it gain wheel arches, larger spoilers front and rear, the V6 was bored out to a 2.9 L motor was modified by Alpine, fitted with 3x Weber 42DCNF carburetors that pushed power to 193 hp (144 kW). Specifications. Body : length/width/height/wheelbase – cm (in) : 418/164/115/227 (164.6/64.6/54.3); weight : 980 kg (2163 lb). Engine. Front V6 2664 cc (163 ci), injection, manual 5-speed gearbox, rear-wheel drive. Maximum power : 150 bhp @ 6000 rpm. Top speed : 220 km/h (137 mph); 0-60 mph in 7.5 sec.